Gardley shifts the locale from a house in an ultraconservative Spanish, 20th-century town to a substantial Creole house in New Orleans in 1813. This expansive residence is beautifully rendered by Adam Rigg and expressively lit by Yi Zhao so that multiple locales can be imagined in minimalist fashion. Its white background serves well to show off Montana Levi Blanco’s well-crafted period costumes. 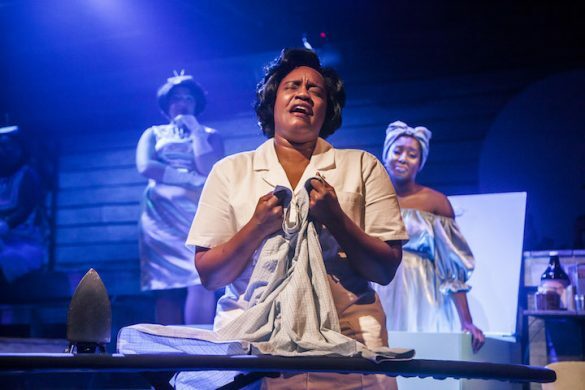 Instead of having four sisters, ages 20 to 39, being under the oppressive thumb of a matriarchal autocrat, Gardley gives us three teens: 19-year-old Agnés (Nedra McClyde), 18-year-old Maude Lynn (Juliana Canfield), and16-year-old Odette (Janice Abbott-Pratt). Each is a beauty with a different skin color, their relative hue (ranging from fair to tan to dark brown) being an important signifier in this heavily racialized society. 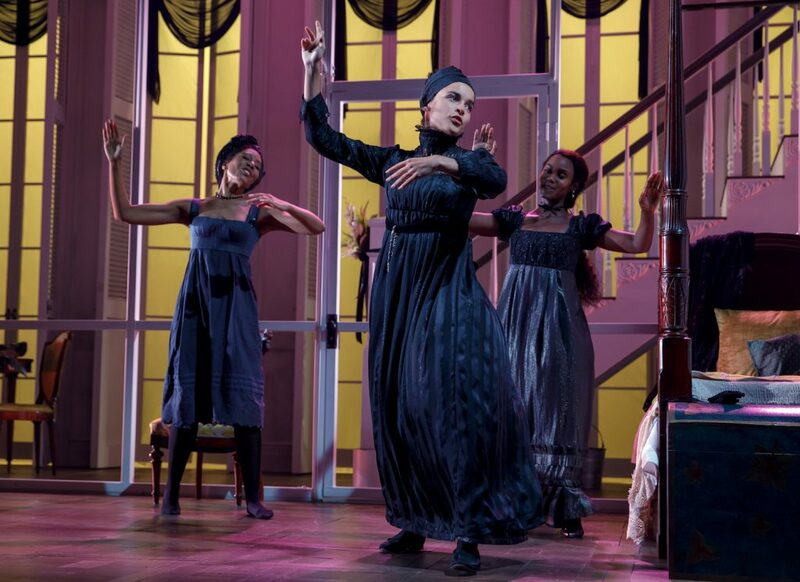 Whereas Lorca’s Bernarda Alba insists her brood follow the family tradition of mourning for eight years, Gardley’s Beartricé Albans (Lynda Gravatt) commands that her daughters must not attend an imminent masked ball, where women of color are eligible to become a placée, the legally recognized mistress of a wealthy white man. Under laws that the play notes are about to be abrogated by the new American government, such men may also have a white wife. The plaçage system defines Beartricé’s position and establishes the play’s basic plot line. This revolves around Beartricé’s preventing the girls from a fate like hers so they may be completely free. 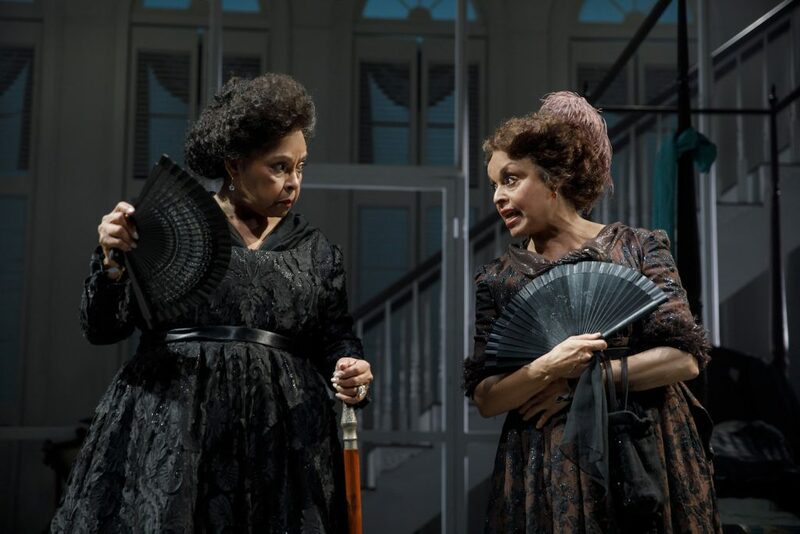 An expository scene — the kind that helped give “well-made plays” a bad name — opens the play as Beartricé’s enemy, a middle-aged Creole woman called La Veuve (Marie Thomas), talks with the Albans’ slave-housekeeper Makeda (Harriet D. Foy) — Lorca’s Poncia — about Beartricé’s possible responsibility for Lazare’s death. 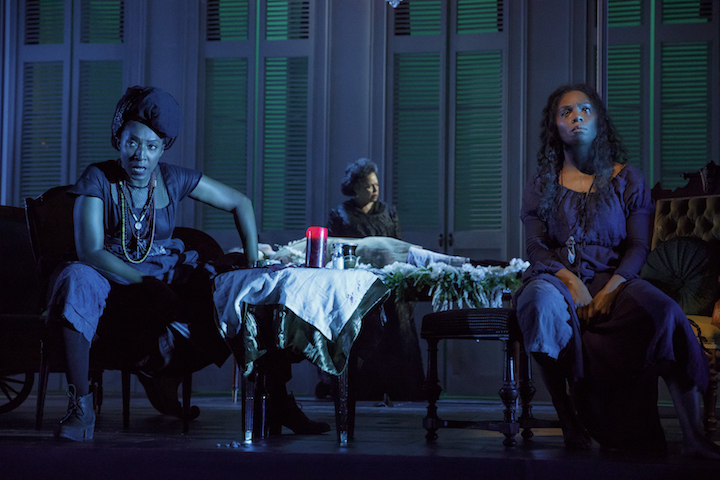 We get the answer later when Makeda puts her conjuring powers into practice with the aid of her allegedly mad sister, Marie Josephine (Michelle Wilson), who replaces Maria Josefa, Bernarda’s octogenarian mother in Lorca’s play. In a sequence of magic realism, Marie Josephine channels Lazare’s angry spirit, which is seeking to bring down the house, thereby revealing how he met his fate. Gardley has been called an heir to Lorca, Pirandello, and Williams; Lazare’s narrative suggests that Lillian Hellman belongs in the mix. The House That Will Not Stand is preoccupied with issues of freedom, whether from slavery, prohibitive laws and social customs, parental restrictions, sexual repression, romantic choice, marital oppression, enforced confinement, or religious piety. While it’s interesting to learn the historical foundations on which Gardley builds these themes, they come at the expense of Lorca’s tensely wound plot, and require too many distractions, with focus and tension fading amid various subplots. Gardley’s language is highly flavored, sometimes almost self-consciously so, with heightened imagery. Everyone seems capable of fanciful similes, comical wisecracks, and epigrams, many lines sounding more like they come from early 21st-century mouths than early 19th-century ones. Makeda, for example, delivers this laugh-getter: “If she catches him, she’ll be madder than a three-legged dog trying to bury a turd.” There’s also frequent reference to a certain food whose sexual connotations are hard to swallow. Lileana Blain-Cruz’s lively direction, which includes choreography set by Raja Feather Kelly to Justin Ellington’s original music, gets universally strong performances. 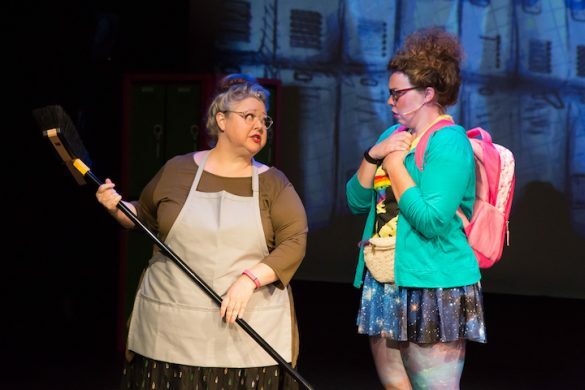 Lynda Gravatt is especially impressive as the imperious, demanding Beartricé, her every subtle expression exemplifying the art of listening to one’s partners. Foy’s Makeda is a potent presence, as is Thomas’s crafty La Veuve. Each of the Alban sisters comes off as a distinctly etched individual, but Makeda’s sister, the supposedly mad Marie Josephine, is problematic: stereotypically barefoot and shabbily dressed, with her hair in wild disarray, she still seems no less sane than anyone around her. The House That Will Not Stand may have a strong foundation, but the playwriting termites threaten to make its title a reality.